So as many of you know, I’m not feeling well. I took a half day from work today and took a long nap, after which, I was going crazy from being inside. So I went for a walk… in the rain. For better or worse, I ended up at M50. If you want to know something about contemporary art in Shanghai, “M50” is the place to come. This is where I go to find all of the new and wonderful tags in town. But this is also a space for inspiration. And y’all know, I’m all about some inspiration. I’ve been here once before, and I remember seeing this piece of art, it was totally bizarre and something that you could stare at for a good long while. It’s the piece of artwork that everyone looks at whether they want to or not. It’s humorous, it’s interesting, and it’s pretty simplistic when you get right down to it. Here are two details of the painting. Interested? Of course you are. My best friend and I have this theory — never leave something behind that you think you might regret not having. Well, today I asked how much this little winner would be… I was informed that each painting could be sold separately (but let’s be honest… these two are a pair and should stay together) and for these 30 x 40 cm (each) pieces of art — they will run you an estimated 20,000 RMB. Which is approximately $3,076 USD. YIKES!!!! Now I’m sure you could bargain… but still… that’s pricey for my pocket book. But hey, Cao Yingbin, when I’ve made my fortune… maybe we can talk. Today I am thankful for: it being hump day. At least we’re onto thursday tomorrow! And then the weekend will be here. That’s right friends, I was at my happy place this past weekend. After unloading the moving truck, we decided we get a few hours of sleep — enjoy Mother’s Day with our mothers — and then head up to Tennessee. It was my first time to be up there while things are growing. Woods End Farm is a cattle farm so we just go up there and see the cows and family, but all of the neighboring farms are growing things like wheat… and other stuff. It was all so pretty. Unbeknownst to me, there is actually a good sized Amish community about 30-45 minutes away from Woods End Farm. This is one of the Amish homes and barn that we saw. There is something really beautiful about them. They have rules about not being photographed so I tried to only take pictures of their structures. While they attempt to blend in and lead simplified lives — I think they really stand out. I loved their blue shirts that they wore. It is such a foreign way of living that I am completely enamored by how they do it on a day to day basis. We even saw them working their fields with their horses and plows. Children looking as young as 5 were out with a team of 3 horses –I don’t think I knew how to tie my shoes at 5 much less work the fields with a team of horses. I know what you are thinking… what a beautiful house — No-no, No-no — this is their stables. Wowza’s. This is one of the Woods End Farm neighbors. What I love about this property, is that everything is pushed away from the roadway. You can’t see any of this from the roadway and everything is tucked away. You have to be an insider like myself to find these finds. We saw them as we were doing some trail riding on horses through their property. Everyone there was so nice! And you would expect an air of pretension but everyone was completely down to earth. I love this neighborhood. Must. Move. There. Soon. Another little gem on their property is the Folly. It overlooks the surrounding hills and it is so beautiful. At the center of the structure there is a place to have a fire or maybe even a BBQ. This has definitely been added to my wishlist. Love, Love, Love. I am a lover of art. And one of my favorite galleries to enjoy art is at the Biennale in Venice. The gallery is quite expansive. Part of it is located in The Arsenal; an abandoned shipyard of sorts and an amazing place to find abandoned buildings where there is some really impressive art. There is also a garden portion where there are buildings from an old world expo highlighting different countries and their contemporary architecture form around the world. This post focuses mostly on the art found in the old Arsenal. Unfortunately, I was so immersed by the art that I forgot to take pictures of the artist’s name and title. Please inform me if you know the title name and artist of these separate works. They were all so amazing! This work, I had to show first. It was my absolute favorite out of the entire gallery. And it was literally breathtaking. This work was set up in a large room with low lights and and each of these components were made up of reflective strands that collectively made these incredible large forms. Some of the strands passed through the other forms making it so that when you moved the form would take a different shape. It was amazing. I could have sat in there for hours. I would love to be an art collector… it’s slowly in the works; however, graduate school isn’t helping. Today I am thankful that: in 61 days I will be finished with my graduate education. These pictures were taken in Venice, Italy at The Arsenal art gallery in the Fall of 2009 while I studying abroad in Italy. Have you ever fallen in love with a place as soon as you stepped foot on it’s warm, inviting earth. I have and did this weekend. Meet my new happy place. Happy Place… meet my Blog (my other happy place). My boyfriend’s aunt and uncle are fortunate enough to own this little piece of heaven. We went camping on their land this past weekend during my fall break. And a break it was. Getting away from it all reminded me of how very important it is to keep life in perspective. To live for the moment. Life won’t be over if the floor plans aren’t finished, even if the completed mechanical systems are due Friday, and then an entire project finished in about 20 something days… I just need to be reminded sometimes that life is bigger than all those small things. And one day… I might even be fortunate enough to have my own piece of heaven like the picture above. My heart is there. 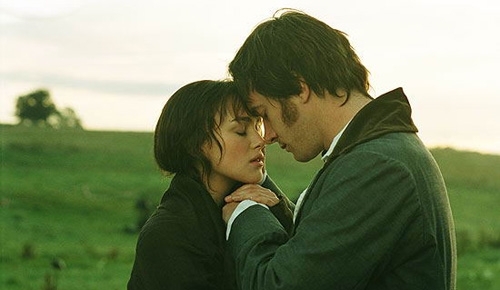 You know that scene in the new Pride and Prejudice when Elisabeth meets Mr. Darcy in the field? My Mr. Darcy met me in the field. It was wonderful. I was on my early morning walk, enjoying my surroundings when I stumbled upon these 2 lovely cows. They looked like 2 old women gossiping early in the morning getting their exercise. They were very curious about me. I named them. The one on the left is Ester and the one on the right is Ruth. I think that they are lovely. Have an adventure and find your happy place. Food Team had its first gathering not too long ago. On a suggestion from a friend at work, he told us about an article that came up about this awesome sushi restaurant that can be found in Easley, SC. I really think that these pictures can do all of the talking… basically – IT. WAS. THE. BEST. SUSHI. I. HAVE. EVER. HAD. If you live close by — it’s a must stop. And if you don’t — it’s one of the best reasons to come to SC. I mean that.